Upgrading or replacing your current cell phone with a used phone shouldn't be a hassle. At Cellular Country, we make sure that it isn't. We have a huge selection of cheap refurbished smartphones, iPhones, Blackberries, and hundreds of other phones that are ready to ship today at up to 75 percent off of retail. 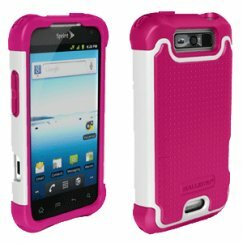 With prices from $9.99 to $304.99, you can't go wrong buying a phone or new accessory from Cellular Country. We have the largest selection of Metro Pcs Phones 4g deals online, including the big auction and shopping sites. There's not reason to sign another contract when you can shop hundreds of discounted phones at Cellular Country. It may seem like you're saving money but you have to pay the phone company for service and data for another 2 years. At Cellular Country we give you a phone with no headaches and it arrives at your door without having to leave your house. Our checkout is 100% secure so you don't have to worry about anything except how fast you want your next refurbished phone. Just pick your maufacturer, model, condition, and carrier and we'll take care of the rest. If there are any problems we are always here to help via phone or email.